You'll find an incredible variety of gift ideas, not only for the kids, but the adults as well. Coloring can be a great stress reliever for the "older kids" and a great way to keep the young ones busy. There are all sorts of products that would make amazing Christmas presents, or birthday gifts, whatever the occasion. Aroma Putty, Color Bath Drops, Rock Painting Sets, just to name a few. 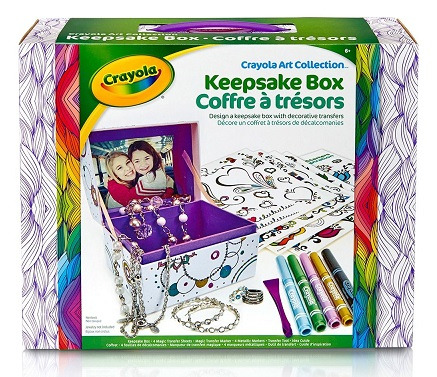 How about a Keepsake Box to color and hold all of the treasures the little ones need to put in a special place? Or a Chemistry Set for the scientist in the family? There are so many wonderful gift ideas here.